Muchiri holds a Bachelor of Architecture Degree from the Jomo Kenyatta University of Technology (JKUAT). 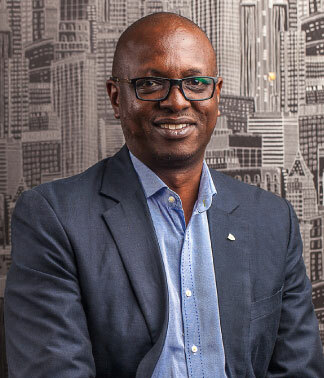 He is a registered architect with the Board of Registration of Architects and Quantity Surveyors and a proud member of the Architectural Association of Kenya having served as Vice-Chair in the Project Management Chapter. After completing his studies, Muchiri went into business as one of the founders of In-House Architects. He possesses enviable experience in design and project management with an equally impressive entrepreneurial and innovative streak in real estate developments as lead consultant and pioneer of Makao Homes in partnership with Housing Finance and convener of the Real Estate Investment Forum for Pension Schemes in conjunction with Co-operative Bank. At AIA, he has been instrumental in design and implementation of myriad projects including Educational Institutions, Showrooms, Private Residences, Service Stations, Restaurants, Large Scale Residential Schemes, Town Houses, Residential Apartment Blocks, and Airports. Muchiri is involved in several CSR projects. He chairs an organization committed to the improvement of Starehe Boys Centre, his alma-mater. Currently, they are providing sponsorship to sixteen students as well as engaged in the re-engineering of its systems, processes and infrastructure. Away from work, Muchiri has taken photography as a hobby. He is also a classic car enthusiast and tinkers with restorations.